I am starting a new series “Album Cover Makeup” today and I feel like a little kid at Christmas! I have been dreaming of this day for over a year now and all of it is finally happening! I am kicking things off with Twenty One Pilots Trench and it turned out exactly how I wanted it to. I am so excited about the finished product! Music has always played a big part in how I am inspired. I can’t sing and I can’t play instruments, so I have to share that inspiration in a way that doesn’t involve music. That’s why I am so excited about my new Album Cover Makeup series! Every month, I will have a new music album that has inspired me in some way or has somehow shaped who I am. I can’t even put to words how excited I am for this series! It is my passion project for the year. 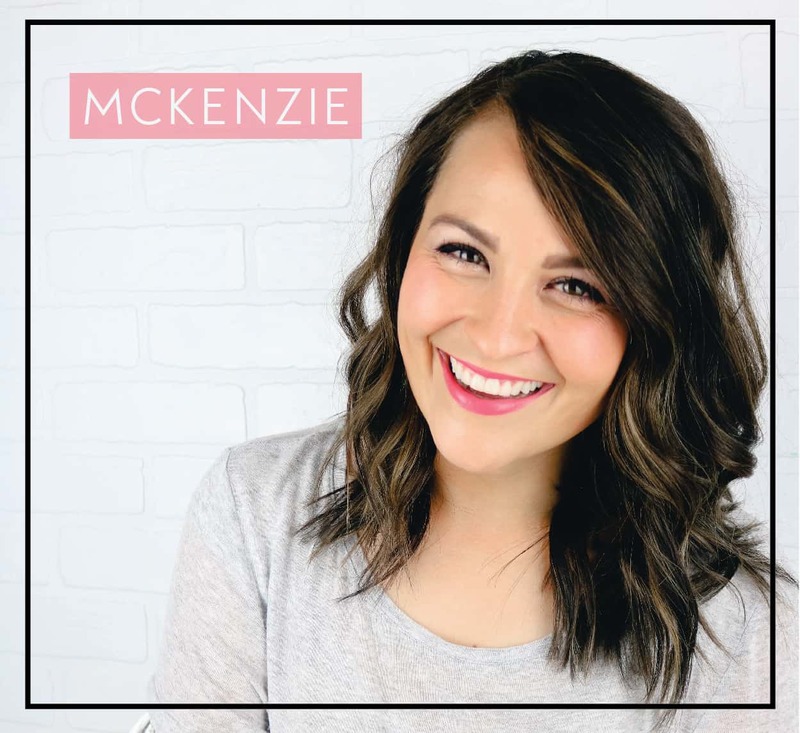 I know that it isn’t something that most of you are as passionate about as I am, but I hope that you can get excited to see what albums are featured and what crazy things I come up with every month! For this look, I really wanted to play around with the colors used on the album cover itself and the colors used on the album merchandise and the music videos for the songs on this album. The colors used are black, army green and yellow. 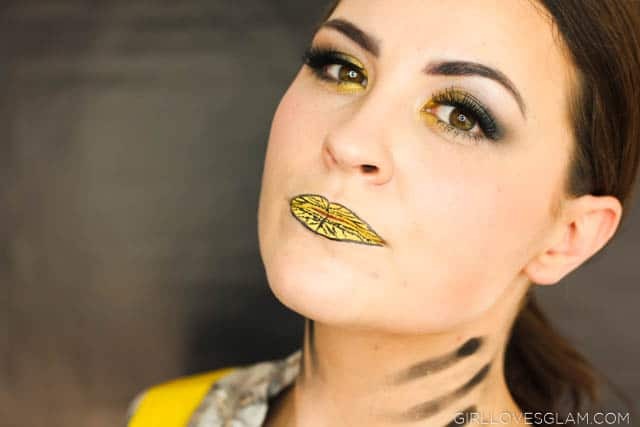 I created a smokey eye with different shades of green and black and then added an awesome pop of color with the yellow! 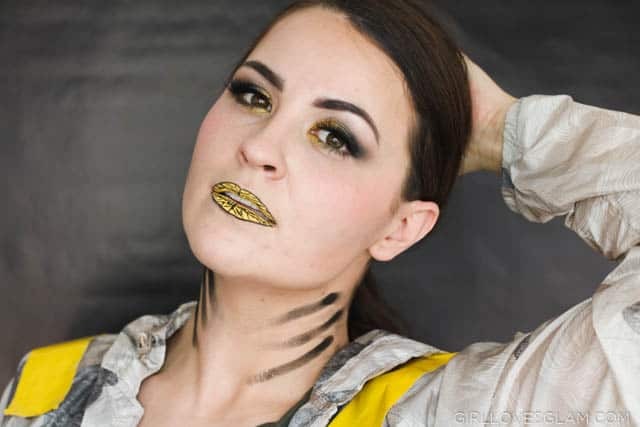 For the neck, I wanted to add finger marks just like the finger marks featured in the Twenty One Pilots Jumpsuit music video. And of course, the lips are my absolute favorite! On the Trench album cover, there is a small circular design that is a map of Dema, the city where the songs on this album take place. 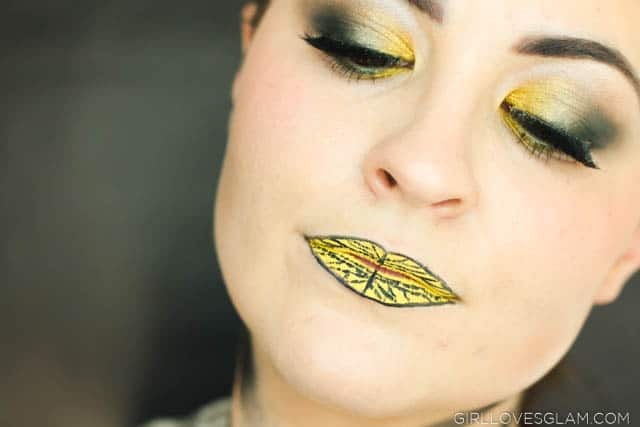 I put my own spin on the map of Dema and created it on my lips. I LOVE them so much! 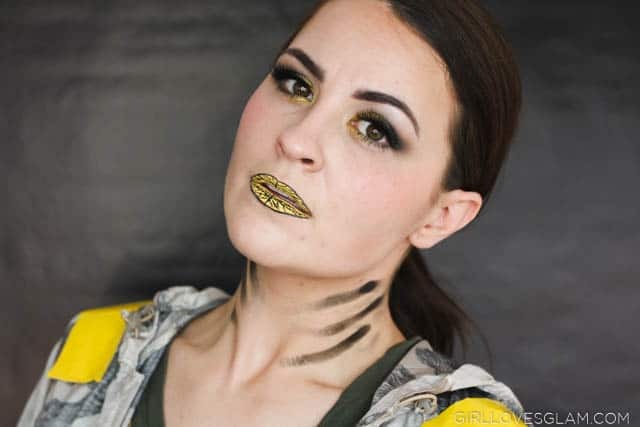 This look would be awesome to recreate for a Twenty One Pilots concert or even a Halloween look! 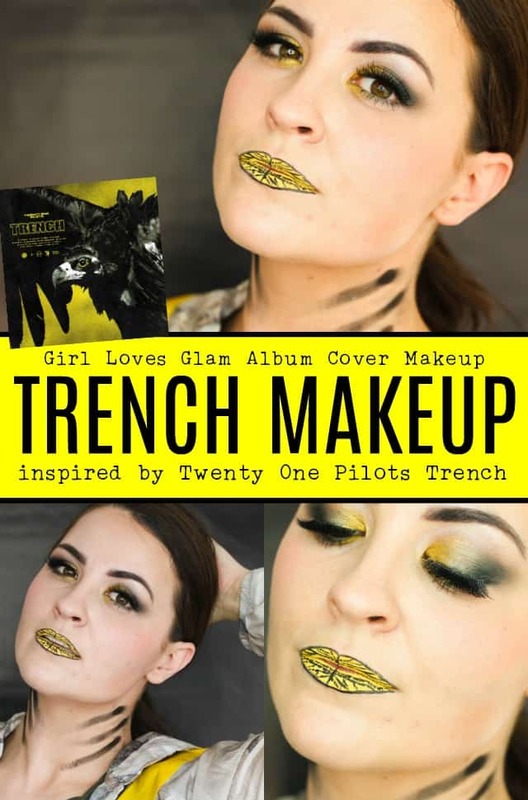 To see exactly how I created it, watch my Trench makeup video! 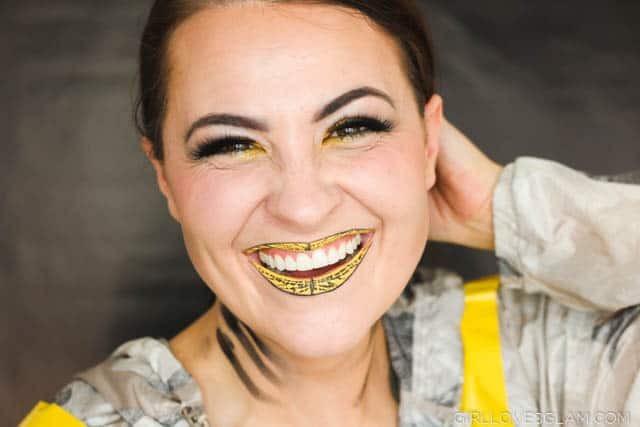 Yellow Lip Color: The one I used isn’t available, but this is similar. I am so glad that this doesn’t have to be my little secret any longer! I can’t wait to bring you new looks each and every month! If you have an album that you absolutely love, I would love to hear about it! Maybe I will even do a makeup look inspired by it! If you haven’t listened to Twenty One Pilots Trench, you need to do it immediately. This album is a beauty! Wow, this looks really good! Wish i was that talented, congratulations!